Session 2012, will be held between August 3rd and September 1st (dates to be confirmed). Two repertoires, two conductors, one Symphony orchestra! Concerts in Cyprus, Greece, Turkey and surrounding countries thanks to the collaboration between the Foundation World Youth Choir and the Cyprus Symphony Orchestra Foundation /Cyprus Youth Symphony orchestra with the support of the Cyprus presidency of the European Union 2012 (Ministry of education and culture – cultural events in 2012) and the three patron organizations of the World Youth Choir. It will be a great opportunity for the World Youth Choir to fully endorse the responsibility of our “Artist for Peace” status and to deliver a message of understanding and social unity between more than 35 different cultures of the world whilst working at the highest levels of choral interpretation. The World Youth Choir will have the chance to perform a cappella repertoire as well as the vocal-instrumental repertoire (L. V. Beethoven “9th Symphony” and K. Penderecki “Lacrimosa”) together with the Cyprus Youth Symphony Orchestra (members of the International summer academy 2012). The World Youth Choir is a life time experience for young singers, age 17 to 26 on July 1st, 2012! AUDITIONS for the session 2012 are opened! World Youth Choir is calling for applicants! Ready to spend one month with great people, meeting new friends, world renowned conductors! It is easy; it is fun in two steps! National auditions are opened until February 15th, 2012. After national auditions, audio files of selected candidates will be sent (by national recruiters) to international jury of the World Youth Choir for final selection of candidates! International jury will meet March/April 2012. All selected candidates as well as the singers on the reserve list will be notified by the World Youth Choir management. Non selected candidates will not be notified about the results. Important: No participation fee. Chosen applicants (after international audition) only have to cover their own travel expenses to the host country and back. IT IS EASY, IT IS FUN! So, do not miss to become a member of the unique world’s choral project! 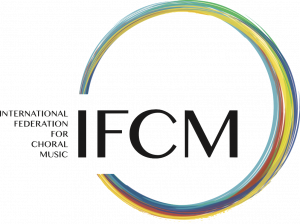 If you are a conductor, vocal or music teacher, if you are a member of your national music, choral or conductors association, you can contribute! Become one of our recruiters, especially in the countries where no national audition is organized. Help us find the best young singers from your country. Your country should be represented in the unique, world’s choral project! For more info visit www.worldyouthchoir.org , write to manager@worldyouthchoir.org or contact one of our patron organizations, if under their membership!